We are less than a week away from Christmas! 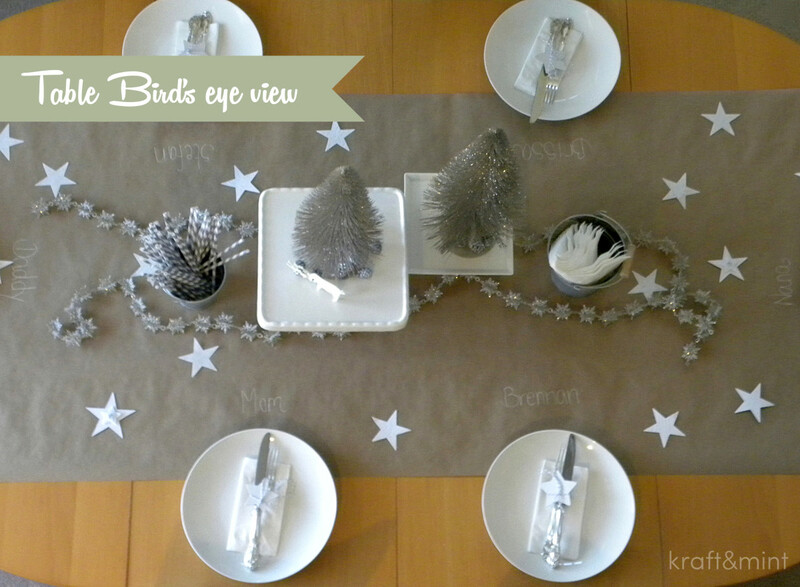 I have focused on planning our Christmas Eve dinner and decorated the house with a few crafts. 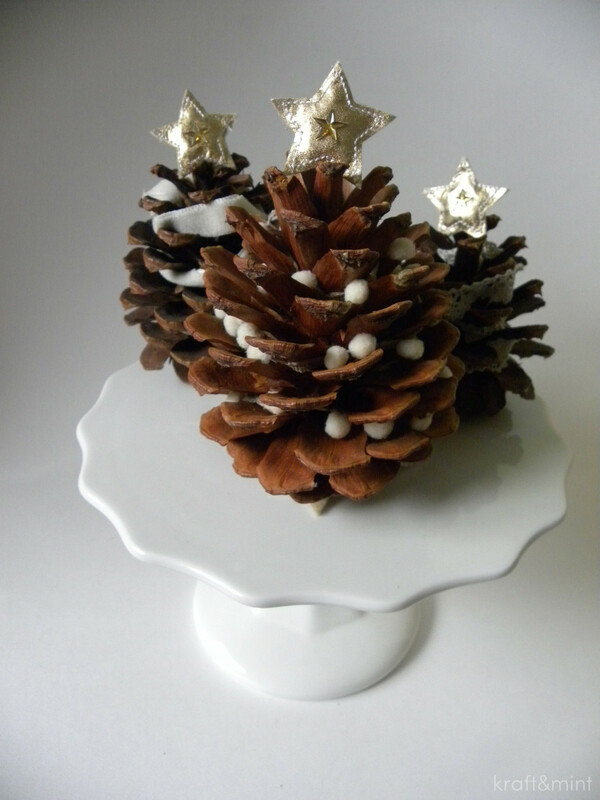 Please take a look at a few photos below with my Christmas Decor ;) How are you doing with your Christmas preparations? I’ve used a few of these acorns around the house and they are super easy to do. You can look at all the details here. 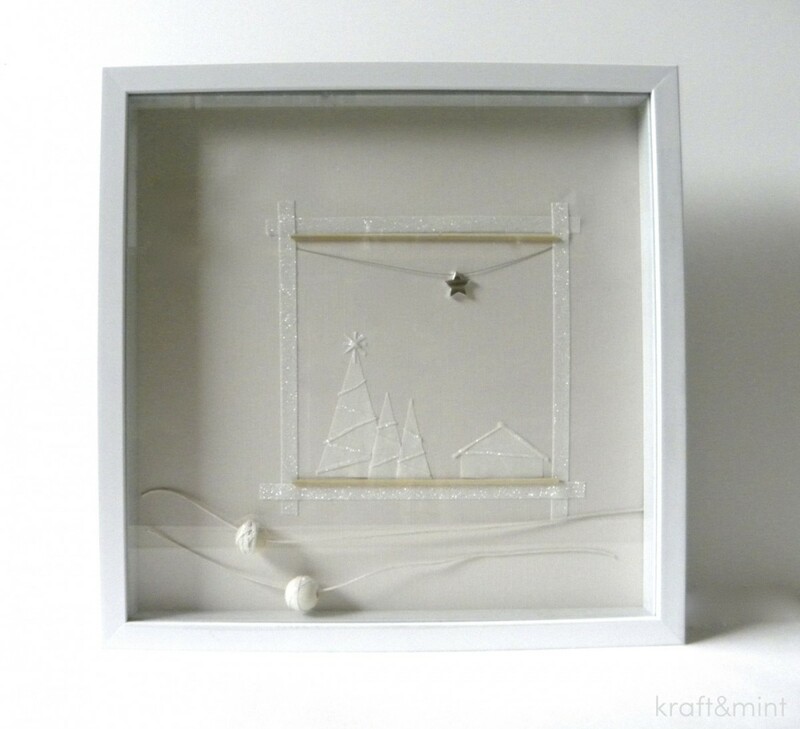 The photo above shows a close up of a shadow box I designed a couple of months ago. It was a really cool creative exercise and you can read more about it here. This used to be a candy jar with little sweets from Germany I found at Costco. The jar was so cool I kept it. 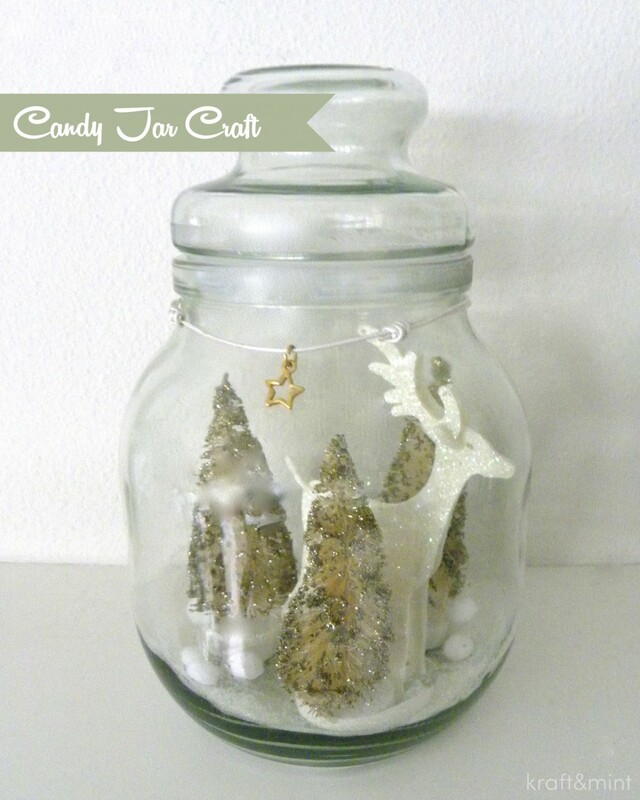 I put inside white sparkly powder, mini cotton balls, a white ornament deer and trees. I put together this table with a few items I already had around the house. 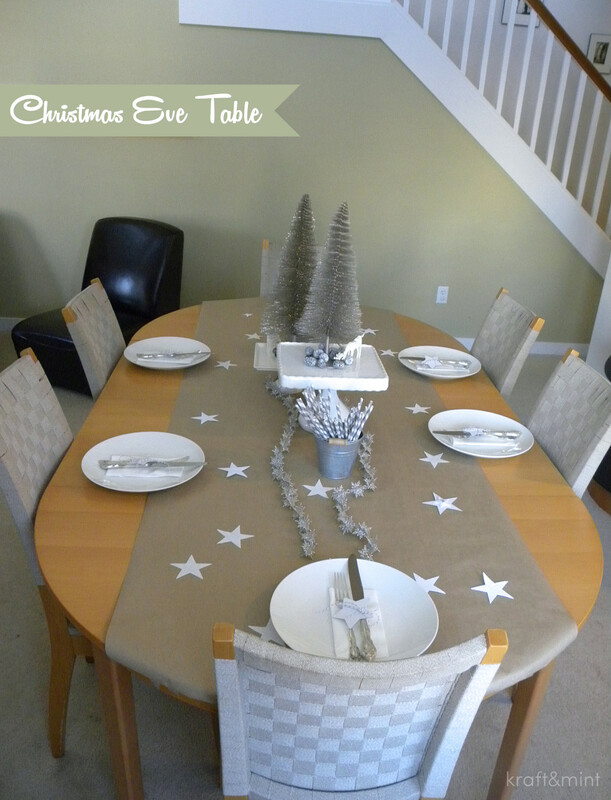 The table runner is made out of a Kraft paper roll. The stars are from a previous craft and I cut these at Ben Franklin Crafts die cut center. 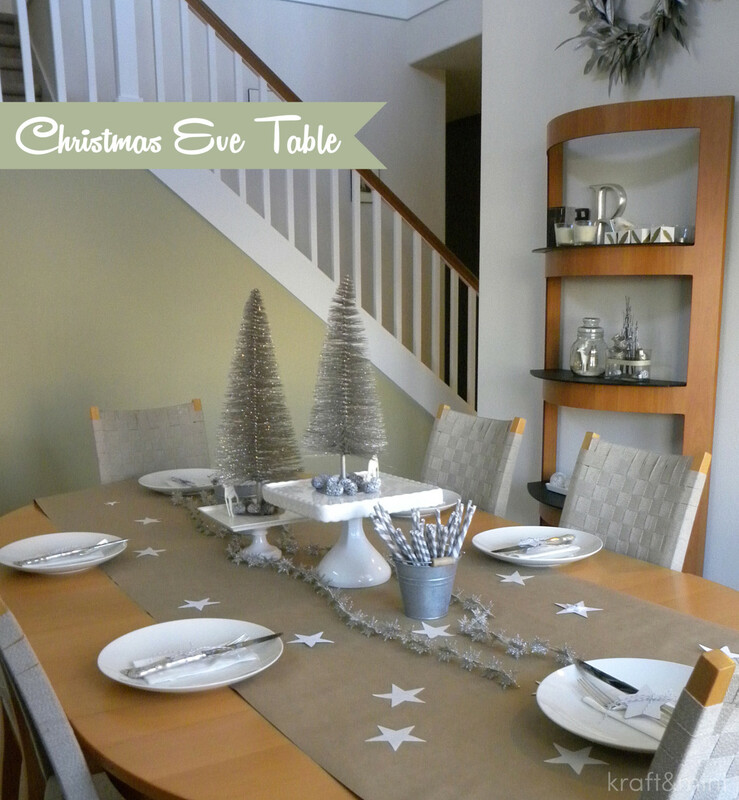 Across the middle of the table I put a snowflake garland I bought years ago from Crate and Barrel. My white plates are my every day plates also from Crate and Barrel. Lastly, I’ve been using my cake stands a lot! I used them for my fall decor and now I’m using them as a center piece element for this table. 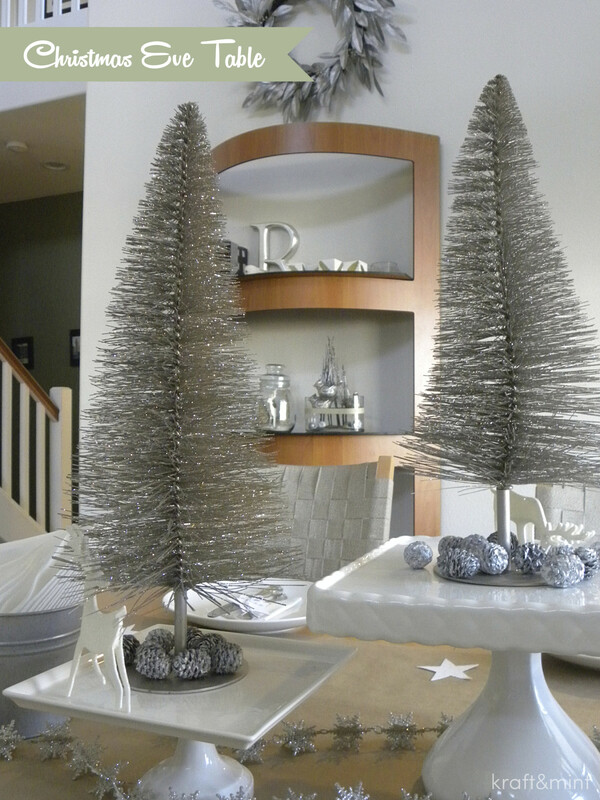 The sparkly trees are also from Crate and Barrel. So what do you think? As always I love hearing your comments :) Cheers, Ursula. I love your table. So pretty, natural and simple. Just the way Christmas should be in my opinion. Simply elegant! 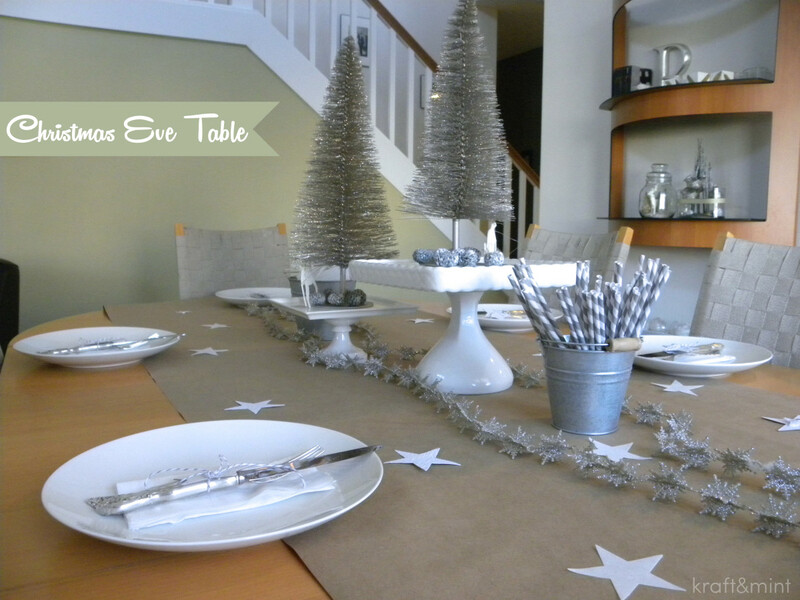 I love the kraft paper table runner! It looks amazing with those stars. Thank you for sharing it at to What We Accomplished Wednesdays. Have a great week! I love all of your decorations. So pretty! I ove your table with the brown paper runner…I have done the same thing for a number of table settings and I just like it!! 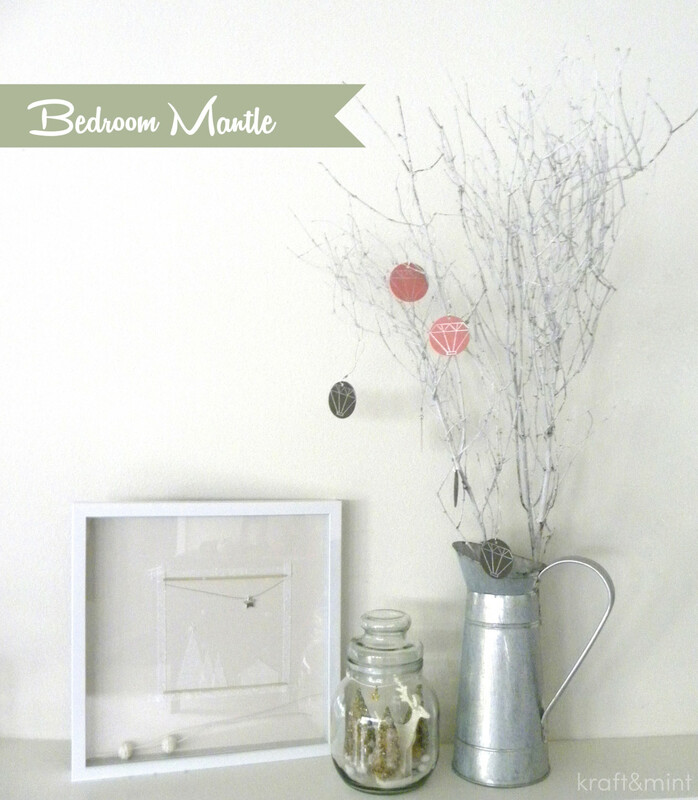 The silvery trees are perfect with the white! Merry Christmas! I love the clean lines of the decorations! Thank you for sharing!